Krabi, the capital of southern Thailand’s Krabi Province, is a resort town near the Andaman coast.On the West coast the Krabi river opens and empties into Phang Nga Bay. 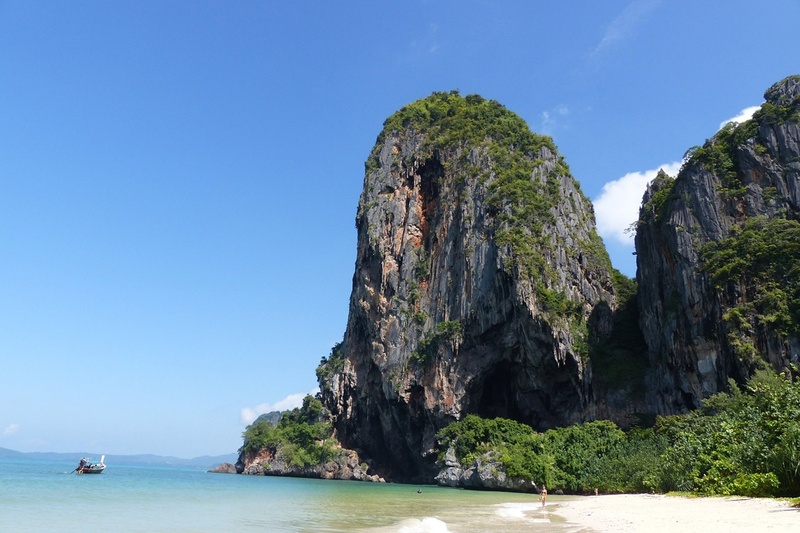 Krabi lies in an area of limestone karsts and mangrove forest. Krabi is considered Thailand’s Jewel. The West coast for Its angular limestone formations which jut out majestically over the coastline waters of the Andamen sea, to lush tropical mangrove forests. On a hilltop reached by stairs, the Tiger Cave Temple is a Buddhist site with panoramic views. Khao Kanab Nam, 2 slanting hills rising out of water, form a local landmark. Andaman Sea destinations like the Phi Phi Islands are accessible by ferry. It is a popular base for visiting the stunning neighbouring Islands of Koh Phi Phi, Koh Hong, Railay, Phang Nga Bay, and much more. Krabi Town has lots of local restaurants to choose from, and nightly food markets, selling fresh delicious seafood, cooked Thai style. Plenty of shops and market stalls selling clothing and souvenirs although fewer from the neighbouring town Ao Nang approx 30 minutes drive. A variety of hotels to choose from starting from budget to mid range. Krabi International Airport – By plane is the quickest, but not the cheapest way. Flying from most airports, Bangkok, Koh Samui Island, and Phuket. 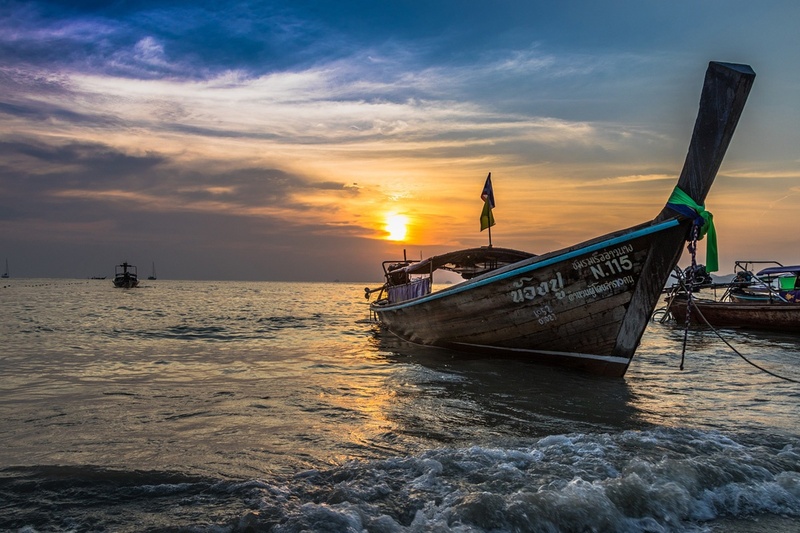 By Bus – From Bangkok, and Phuket from Koh samui Island you can take a bus/ferry (Joint ticket) This is the cheaper option but can be a long day. Only suitable for those on a budget or have a longer holiday duration.